The Ozark 2112TE is a tenor banjo with built-in humbucking pickup complete with jack socket and volume control mounted through the rim. 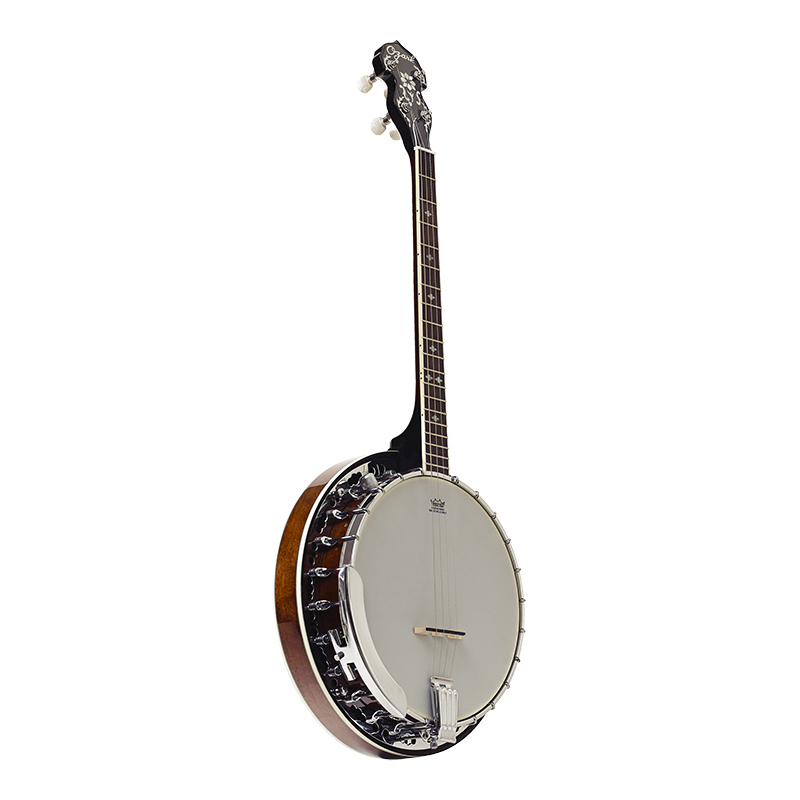 The banjo features a wooden rim with rolled brass tone ring, and mahogany neck and resonator. The pickup is internally mounted by way of a built in clamp which allows it to be positioned on the twin co-ordinator rods in any position to get your desired tone. It is highly resistant to feedback allowing it to be used under the most testing of stage conditions. The Ozark 2112TE has 24 chrome plated brackets, an engraved armrest and inlaid rosewood fingerboard. Geared chrome machine heads make tuning easy. Supplied in a good quality padded gig bag.